Jose Peralta, who has represented Jackson Heights and surrounding neighborhoods in Albany since 2003, died suddenly Wednesday night. He was 47. Tributes in honor of Peralta have poured in since. Peralta, who represented the 39th Assembly District from 2003 to 2010 before being elected to the state senate, was in his final weeks on the job. He was defeated in a tough primary in September by Jessica Ramos, who went on to win the senate seat in November. Peralta grew up in Washington Heights but moved to Queens with his family when he was a young boy. Peralta was the first Dominican-American elected to the state senate when he succeeded Hiram Monserrate in a March 2010 special election to represent the 13th District. The 13th State Senate District covers parts or all of Corona, Elmhurst, Jackson Heights and Woodside. Peralta became a controversial figure after he joined a break away group of Democratic state senators—known as the Independent Democratic Conference–in 2017. The group, which later dissolved, aligned itself with Republicans. Peralta said that his IDC affiliation provided him with the ability to bring more resources to the district. He said he remained true to his progressive beliefs. He was someone who understood the people. Not like the rest of these politicians who are so far removed from the street. You will be missed jose. You, unlike the rest, related to the people of this community. Rest in peace. 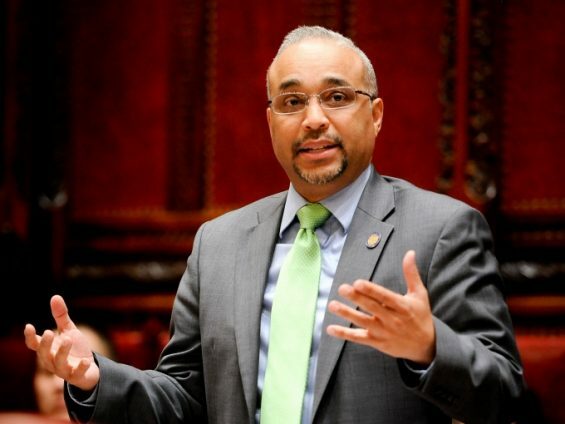 It was devastating to learn of State Senator Jose Peralta’s sudden death. Whether one agreed with his visions or not does not matter. Sundays he would be in attendance at St Joan of Arc church with his wife and son. He was a good man and he “walked the talk”. He will be missed. Rest in Peace Jose. So sorry to hear the sad news . He was a good man. Rest In Peace Mr Peralta. I am deeply saddened by Mr. Peralta’s sudden passing and can only say that this is a huge loss to our community and more importantly to his loving family. Please post any memorial service to our great community leader.